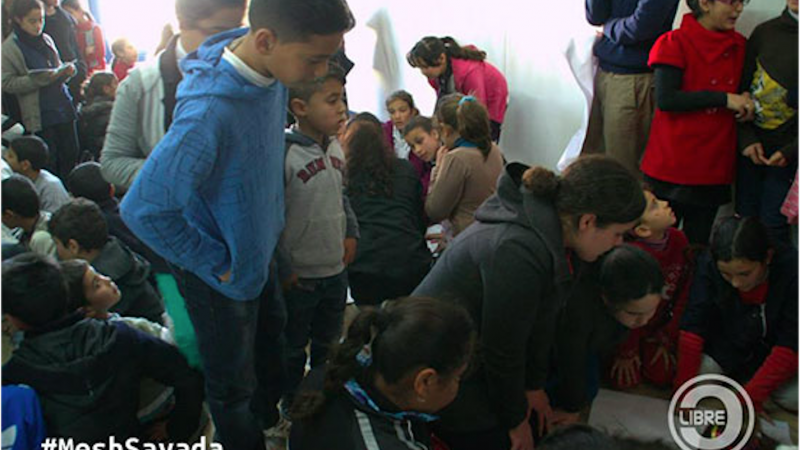 Capacity Building Workshop dedicated to kids in the town sayada on Mesh Networks in the town of Mestir. Photo by Hamza Ben Mehrez and used with permission. This country report was written by Hamza Ben Mehrez from the organization iGmena. Please visit the GISWatch website for the full report which is also available under a CC BY 4.0 license. The Tunisian revolution brought the hope for a better system of internet governance – one that is participatory, democratic and open. Today, the town of Sayada is pioneering an open government initiative. Since 2013 – and with the support of the local municipal government – civic technologists inaugurated the first decentralised, free community Wi-Fi network in the country. This is part of a recent local government code that aims to decentralise the power of decision making and spending to the local level. Now, with the sharing of the Sayada community network experience, the country is in a strong position to make an open, free and resilient internet ecosystem a reality in the country. The challenges that Tunisia faces in increasing internet access, especially in rural areas, are significant. The country is ranked 65th out of 201 countries in terms of internet usage. The country has 5,472,618 internet users with a penetration rate of 48.1%. The number of people not connected to the internet is a little more than that, in the order of 5,902,602 people. Tunisia is ranked ahead of Algeria and Morocco, its nearest comparable neighbours, in terms of internet usage. Official statistics published by the Tunisian national telecommunications regulator in April 2016 indicate that there are 516,061 fixed data subscriptions and 7,280,197 mobile data subscriptions, with a penetration rate of 16.02% for fixed data and 64.5% for mobile data. 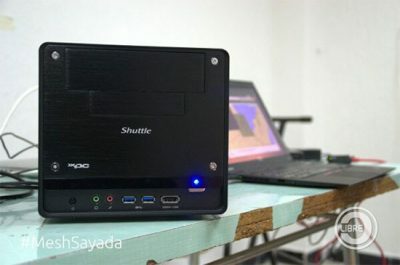 Sayada Routers installation_Signal Test with NGO C-Libre. Photo by Hamza Ben Mehrez and used with permission. Most Tunisians are using a 3G/4G connection with a bandwidth capacity of 180 Gb/s. 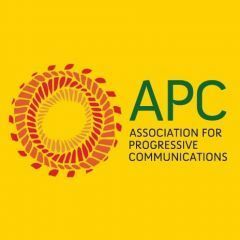 Connecting 100% of the population is still a challenging issue and the focus of the government is to reach the unconnected people in the rural areas and households below the average income. The main factors related to increasing connectivity in rural areas are expanding infrastructure, ensuring affordability, increasing usability and developing innovative state policies. 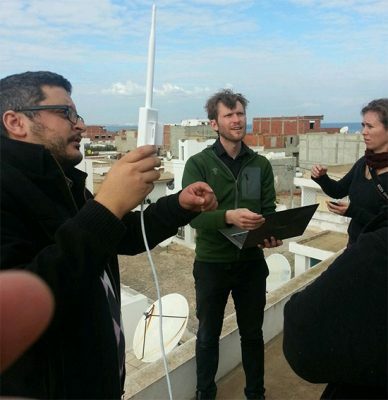 In this context, the coastal town of Sayada, some 140 km from Tunis and in the administrative governorate of Monastir, inaugurated the first free Wi-Fi community network in Tunisia in December 2013. The community, represented by students, technology experts, civil society activists, policy makers and municipality officials, was helped by CLibre, a local association that aims to promote the culture of a free and open internet. Today, the Sayada community network – called “MeshSayada” – which covers 70% of the town, is a success story of a community-designed wireless network system. The community network also serves as a platform for locally hosted content, such as Wikipedia and OpenStreetMap, and will expand to include more locally created content. The network consists of 11 rooftop nodes (using 12 routers), including the cultural centre, town hall and nine residences. The network links major areas of the town and covers the main streets, the weekly market, the train station and high schools. The routers have been placed in different interconnected nodes to have optimal coverage of the network, whether on the street or inside the houses. More than 15 Wi-Fi nodes were installed throughout the town via two unidirectional transmitters that have a diffusion angle of 60 degrees. Their range can reach two or three kilometres in a free zone without obstacles. The municipality of Mestir provided bandwidth for synchronisation and proxy of sites to the community of local developers who synchronised the Sayada web portal with the Sayada Wikimedia site. Multistakeholder collaboration is critical to the project. On 13 November, 20 computer scientists and engineers came together in Sayada Cultural Centre with a group of 14 girls (10 to 14 years old) from the city of Mestir and Sousse, Sayada community members, people from nearby towns, and groups from across Tunisia to learn and contribute with different skills toward building the network. The Ubuntu Tunisia Association arrived from the neighbouring city of Sousse on the second weekend to help set up the server and to create the network portal page. Local engineers, academics and technology experts focused on participatory network planning, site planning, and solving various technical challenges. Everyone put their skills to practice when installing two directional routers on the town hall and using the router interfaces to test the mesh link distances to connect with battery-powered routers set up in the street. Fifty children came to attend the workshop. They later went home and explained MeshSayada to their parents. Several IT developers from around Tunisia volunteered to contribute by adding additional applications and content to the local network. The applications and content are installed in the network service. These include OpenStreetMap, Wikipedia in French and Arabic, a collection of 2,500 free books in French, an Etherpad application for collaborative document editing, and a Media Gridapplication for secure chat and file sharing. To consolidate the idea of inclusiveness and the bottom-up approach, a young developer created a local portal that links to each of these services, and that allows people to use easy-to-remember names such as Sayada.mesh or Wikipedia.mesh to access the local applications. The project cost the association and the town of Sayada no money. The equipment was provided entirely by the Open Technology Institute (OTI), a non-governmental organisation that works on community network development to help strengthen the participation of residents through open government processes. Residents donated their time and effort to build the Sayada network. In terms of the network quality, it offers a useful user experience when accessing web pages, text chat and web-based maps. The challenge came when needing more bandwidth for intensive tasks, such as file sharing and video streaming. This would require additional work by local network administrators to optimise links and increase throughput. Mesh Sayada Wifi Routers. Photo by Habib M’henni and available at Wikimedia Commons under a CC BY-SA 3.0 license. The bandwidth capacity performance declined between two-hop and three-hop connections. On average, the two-hop throughput was 2 Mbps, and the three-hop links averaged 1.8 Mbps. However, the links are of an acceptable quality given the nature of the content on the local server; for web pages, text chat and web-based maps, the throughput constraints over the network should not result in a degraded user experience. Six years after the revolution, a significant contribution has been made towards local development. After the passing of the local government code on 27 April 2018, 31 municipalities will benefit from financial autonomy to manage local affairs and to ensure the principle of free administration. Old and newly formed municipalities will work to include residents in local internet development policies and projects. This will help not only the people of Sayada but all Tunisian citizens to participate in the local community development of their cities. Newly elected municipal councils could help create mesh community networks in other regions by organising awareness sessions on open budgets, transparency and corruption, the usefulness of information and communication technology (ICT) and the importance of community networks for their towns. Tunisian people hope that the newly elected municipal councils will invest resources that have been transferred from the centre to the periphery in modernisation projects, such as the roll-out of mobile networks so that all end-users can take advantage of digital opportunities and are able to use the internet wherever they are. The new local government code is expected to help local authorities to be more financially independent by diversifying their sources of financing and providing guidance on how to allocate money for the development of infrastructure. The new legal framework for decentralisation could consolidate the multistakeholder bottom-up community networks model and ensure the participation of local communities in local decision making. For more information regarding action steps to support the continued development and sustainability of community networks in Tunisia, please visit the full report on the GISWatch website.